One of the most challenging aspects of management offshore development teams is dealing with a large host of cultural differences. Fighting or ignoring the differences is likely to cause serious issues. Expecting an offshore team to change their culture to fit yours is naïve if not insane. The key to success is learning the culture of your offshore team, finding the ways to work around the differences and even embracing and capitalizing on them. Ukrainians and Russians. Understand that ex-soviet Union is extremely ethnically and culturally diverse. While you might not be able to tell the difference between Ukrainians and Russians, the differences exist, and given recent political tensions you need to be very careful with generalizations, labels, and blanket statements. Team vs. Individual. I find Ukrainians to be less individualistic than Americans. When motivating your offshore team you need to pay equal attention to praising the team as well as the specific individuals. Do not put your top performers in too much of limelight though, as they are more humble than proverbial Americans and excessive “popularity” of an individual can trigger negative team dynamics. One-on-one connection. Your Ukrainian employees need to know that you are a real person and are truly interested in their individual progress. Regular one-on-one chats will motivate your team members and increase the overall efficiency of the team. Respect of authority. Ukrainians have more appreciation for organizational structure and higher respect for authority than people in the states. A clear line of authority must be present through out your offshore organization. Make sure to clearly specify reporting relationships and relative seniority. It is also very important to identify communication and escalation channels. At the same time feel free to drop the formalities in your day-to-day communications. Abiding by the rules and following formal protocols aren’t innate traits for Ukrainians. Friendship. Personal relationships and friendship are very important for Ukrainians, and have deeper meaning than for most Americans. Building relationships with your team members will pay huge dividends in productivity, retention and reliability of the team. Consider investing in team swaps and team bonding exercises, the longer and closer you work with your team, the tighter the bonds, the better the outcomes. Bad News Delivery. Do not expect bad news to reach you immediately. Your offshore team is likely to take matters in their own hands and try to resolve issues before they notify you. That is not typically related to confrontation avoidance or desire to please you as a customer. More often it’s a result of pride and “us vs. them” mentality. Language. Learning Ukrainian would be a great step towards building a great relationship with your team, but I would not necessarily recommended it, unless it’s your life mission the ROI is just not there. You may want to learn a few phrases; the goodwill return on this investment will be huge. English. The number of English speaking Ukrainians is growing at decent pace, yet their ability to practice spoken language is severely hindered. Communicate in writing. Conflicts. Ukrainians can be rather temperamental and outspoken. Don’t expect them to hold back and sugarcoat the issues. Most of the time you are better off letting the tempers cool off before you can dig in and expect to get a reasonable and logical response. Uncertainty. Ukrainians are less adapt to dealing with uncertainty than most Americans. Consider that in every aspect of your communication with the team and individuals. For example, career path, raises and promotions should be treated in a well-structured and predictable manner. Long term planning. Ukrainians are far more long term oriented than their American counterparts. That comes across loud in clear in their readiness to invest in education, career decisions, and employment preferences. I do have to admit that events of the last couple decades, overall uncertainty and instability put a huge dent into this cultural trait. Take-money-and-run and carpe diem attitudes are far more prevalent nowadays. Holiday. Ukrainians are a very festive nation, and their traditional celebrations are beautiful and definitely something you should witness for yourself. And Ukrainians take their holidays seriously, so you need to be aware of the national holiday calendar as work efficiency of your team will decrease dramatically during the times of celebrations, and often a couple days afterwards. Time off. 10 days of PTO on annual basis? You gotta be kidin’. Not even remotely close. Think 3 times as much and that doesn’t include sick days and holidays. So plan accordingly. Well, that baker’s dozed does it. Not by any means the full list but a good 80/20 approach that should keep you going. Do you think that I am missing anything important? Disagree with my observations? Please do let me know, I love to know your thoughts and opinions and am happy to share them with the readers. Please comment or email me krym2000-po@yahoo.com. Am I dating myself? “Oh, those Russians” was the last line of “Rasputin”, ’78 hit by Germany-based pop and disco group Boney M. Well, of course that’s not what this post is about. A few days ago I talked with an old friend of mine once a VP of engineering for a s/w startup in the Bay Area and now a successful entrepreneur and owner of a small offshore outsourcing firm with a development center in St. Petersburg, Russia. We started to chat about two sides of outsourcing, challenges of trying to do things right and make money in the process, and then found ourselves locking horns on a portrait of a Russian developer. Both of us are originally from Russia even though from two “competing” cities. Both of us have tons of experience working with outsourcing teams from all over the world. Both have been working with Russian developers for years. Yet with my friends’ past years of provider experience and my experience being mostly on consumer side we found ourselves on different sides of the barricade. Since we’ve known each other for years we could also take the gloves off and beat each other to pulp. At the same time there were not much difference in opinions and we could easily shift the sides. Well, I guess you would have to take my word for it. So, what makes Russians special, different, easy / hard work with? What to expect when you find yourself outsourcing with Russians? 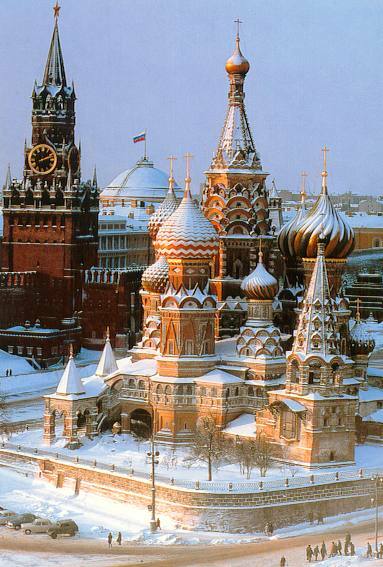 I was born in Moscow, USSR and the word “Russia” in my mind associates with a large empire of 15 republics. Things since than have changed dramatically and referring to some of the parts of ex-USSR as Russia is not just politically incorrect. Yet you are likely to hear about Russian outsourcing even if the ODC is located in Minsk, or Kiev. 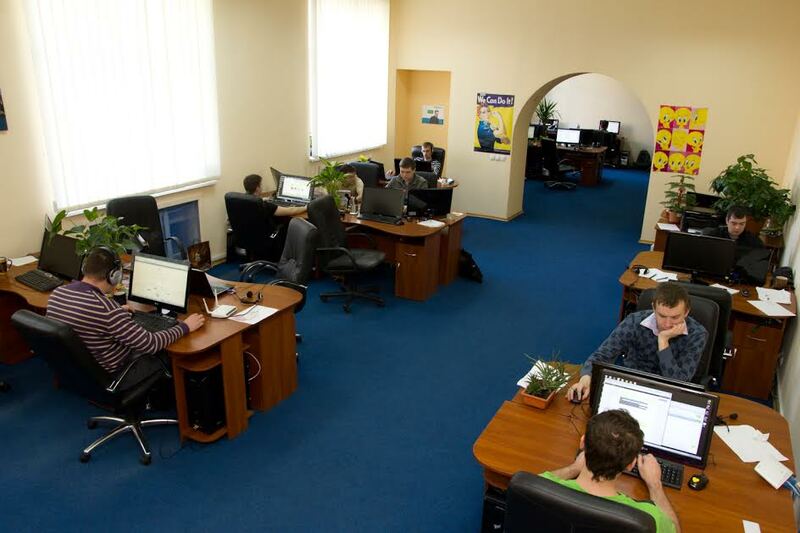 As a matter of fact in many respects outsourcing landscape of Byelorussia, Ukraine, and Russia has a lot in common. More so, large outsourcing organization such as ePAM, Luxsoft, and others have offices in these countries. 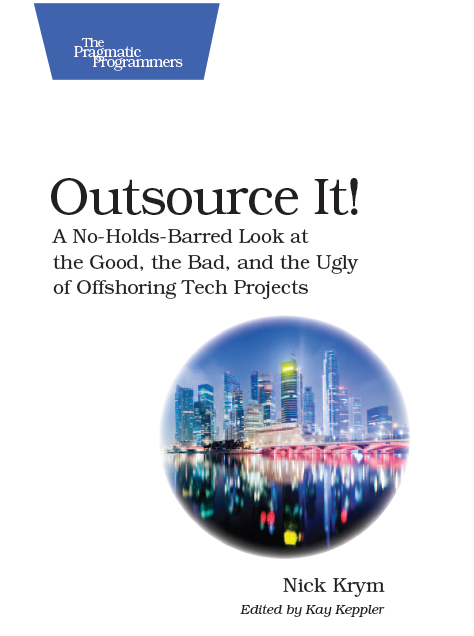 Most of other countries of ex Soviet Union do not play significant role in offshore market, some due to low density of IT talent, some due to high cost. While offering in these countries exist, and you may find great providers in Estonia, Moldova, and others, in terms of outsourcing statistics these countries would be a rounding error. With that in mind let me cover some Pros and Cons of doing business in Russia. Infrastructure. IT infrastructure in large cities of Russia is very good; smaller, second tier cities lag behind, the difference if pretty dramatic. Generally today you will find sufficient network bandwidth, stable connectivity, and solid pool of Sys Admin talent that would allow you stay in touch with your ODC. The cost of it will be not inconsequential though and needs to be taken into consideration. A very important aspect of infrastructure which you need to asses is vendor facilities – it is difficult to find well equipped offices with quality server rooms, etc. that is especially serious for companies with offices in second tier cities. In my view Pros here outweigh the Cons. Operating Environment. Running offshore engagement with Russian ODC will offer many operating challenges even if you stick to tier one cities (for the purpose of this discussion that’s Moscow, St. Petersburg, Kiev, Minsk). Getting to these cities is fairly easy, they offer great selection of hotels, solid municipal infrastructure, and … mind boggling prices. As I heard Moscow has been recently awarded with a title of the most expensive city in the world with St. Petersburg following it closely. Second tier cities are substantially cheaper but you get what you paid for in terms of quality of hotels, food, transportation, etc. Another issue to be aware of is high crime rate (accidental traveler be aware!) and very high rate of corruption. Corruption could become a very serious obstacle for models involving ownership of the resources such as BOT. With caveats considered I would still put Operating Environment as a Pro of doing business with Russia. Skills Availability. That is in my view is one of the weakest traits of the region. First at a very high level, Russia produces IT resources at a fraction of speed of the countries such as China and India. This problem is exacerbated by fairly consistent internal demand for IT resources and high geographical dispersal of the talent pool. 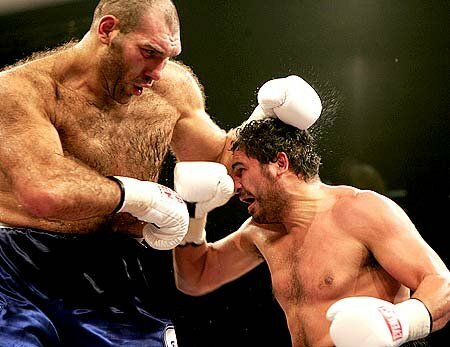 In large degree Russia talent pull is already exhausted. Pretty much everyone who is interested in working in offshore organization is already working for some client, often for several, as many of talented engineers work several jobs, moonlight or find other ways of get themselves reasonably compensated. Finding software aces is challenging even in second-tier cities, in the first tier cities it’s practically impossible. Cultural Compatibility. My experience in that arena has been surprising to say the least. I left Russia in ‘91 as an accomplished technology professional with almost 10 years of experience under my belt. I had not expected to have any problems in dealing with companies in Russia and yet I found it easier to work with companies in India instead. Some of my greatest pains came from several areas of communication / work related behaviors. Customer is always right… Maybe, but not in Russia. As a matter of fact the vendor seems to always know what I want better than I do. Being “Politically Correct” is not a Russian way. However, while I prefer straight forward communications I do not enjoy when my vendor is rude to me or more so to some of my employees. Work ethics. Very sensitive topic, I have seen many great, hardworking developers in Russia, but unfortunately they seem to be outnumbered by short-timers with “get money and run” attitude. There is one interesting aspect of Russia’s culture which while “positive” contributes to the difference – attitude towards education. It is amazing how many highly educated people you find among Russian developers and even QA engineers. I am not talking BS, I mean Ph.D. and above. While by all means commendable quality the negative impact of it is actually multifold: theoretical approach to problem solving, abandoning career for the sake of education, investment in education at cost of work skills, etc. English Skills. In my opinion English skills of Russian outsourcing community are at the level you would expect them to be with a typical bell curve distribution and the median being at acceptable level. Chances are you won’t have problems understanding developers and would be able to carry on a rich conversation with account managers and other client facing resources. Rates. Rates of Russian development workforce vary greatly depending on location. Rates in T1 cities are very high, often making Russian outsourcing to be cost prohibitive. To deal with this issue many T1-city based vendors diversify by opening locations in small cities. Rates for smaller city are as the standards of living in those cities – they fall off the cliff as soon as you move 100 miles outside of the tier one city boundaries. However resulting rates continue to stay on a high side comparing to India’s. Resource Turnover. Turnover tends to be on a low side comparing to India especially in a T2-T3 cities. The trend is however discouraging – according to what I hear from my network the turnover rate has bean steadily growing correlating to growing demand and increase in expected standard of living. Let me close this post on a positive note covering one of the most important Pros of Russian outsourcing community – its Technical Capability. For many reasons Russia IT community in many cities in Russia offers above average technical capacity, innovation and creativity. That is particular notable for boutique vendors from St Petersburg, Moscow, Kiev, Minsk and Novosibirsk as well in the top echelone resources from lagre Russian outsourcers.